Jack Kerouac. 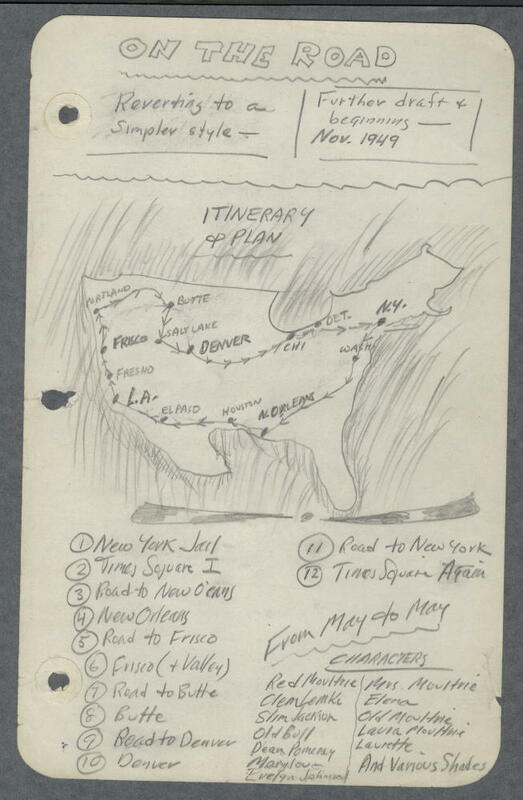 “NIGHT NOTES & Diagrams for ON THE ROAD.” Manuscript notes for the novel, November 1949. New York Public Library, Berg Collection, Jack Kerouac Archive.